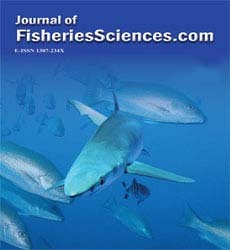 This study was carried out to determine freshwater Rotifera species of Turkish Thrace (Edirne, Tekirdağ, Kırklareli) between September 2007-April 2009. Rotifera samples were collected by using a plankton net (55μm mesh size) from 126 different localities. At 65 of 126 localities, water temperature, pH, conductivity, dissolved oxygen were measured during the field survey, in terms of showing general character of surface waters of Turkish Thrace. As a result of this study, a total of 115 Rotifera species belonging to 22 families were identified in Turkish Thrace. 47 of these species were new records for Turkish Thrace. The number of species in Edirne which had formerly been determined as 97, increased to 114 with this study. 72 species which were identified in this study in Tekirdağ were accepted as the first records for Tekirdağ, because it had not been done any former studies concerning Rotifera in Tekirdağ. 99 species identified in this study in Kırklareli were also accepted as the first records for Kırklareli be-cause the taxons found in the former study, which had been performed in Kırklareli, were in genus level.The result of this and former studies shows that Turkish Thrace has 138 species.